The Guardians of the Galaxy star in cosmic adventures torn from their hit animated series and brought to new life on the comic-book page! 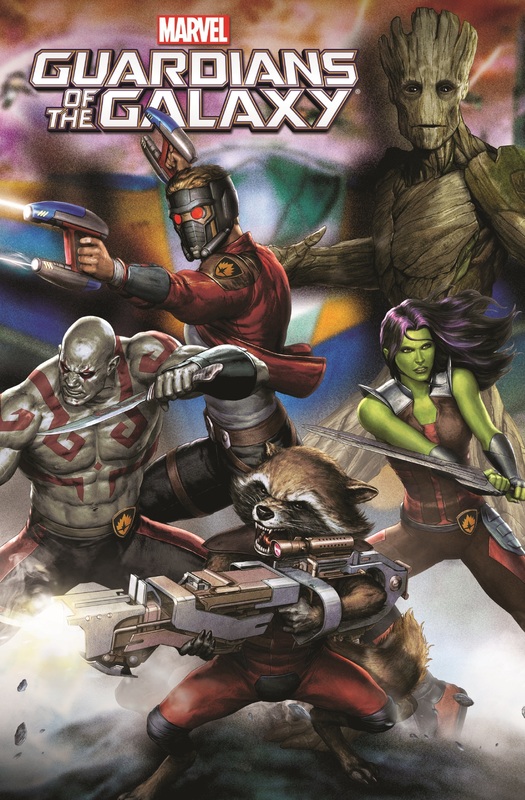 The Guardians of the Galaxy join an Asgardian war! Now that they possess the powerful Cosmic Seed, the Guardians are on the hunt for answers. Drawn to Asgard, home of the mighty Thor, they're ready for a fight — but not one as big as this! It's up to our heroes to save the day — and stop an intergalactic war at the same time! Peter Quill is missing — have you seen this Star-Lord? 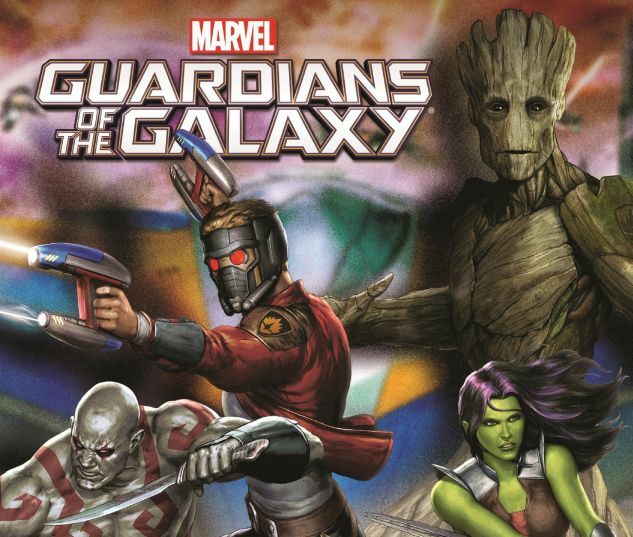 It's the Guardians of the Galaxy vs. a superstitious despot in a Christmas Carol-esque con job! It's a heartwarming tale for all ages, chock full of holiday spirit! Jingle Bell, Jingle Bell, Jingle Bell…GROOT?! 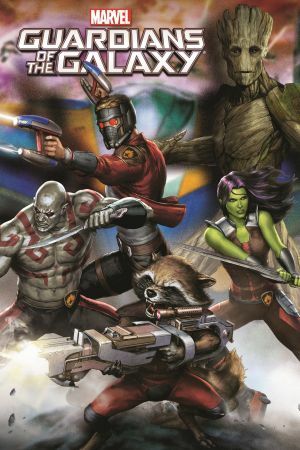 Collects Marvel Universe Guardians of the Galaxy #13-16.